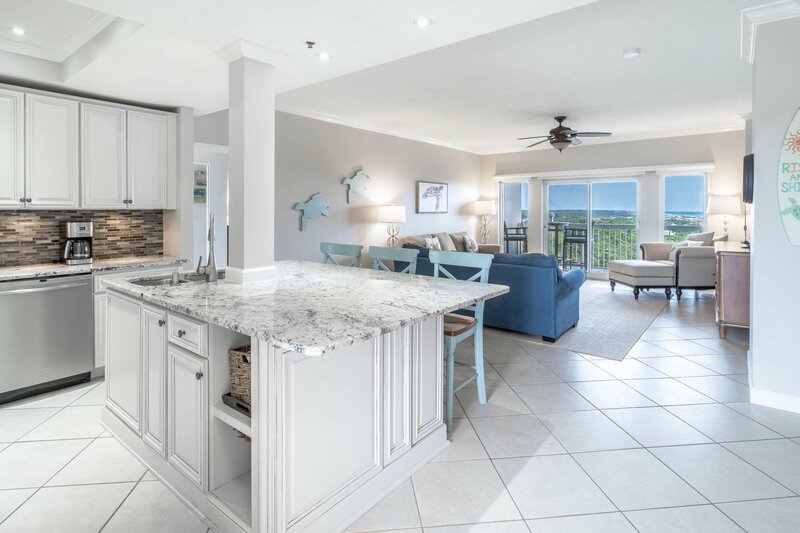 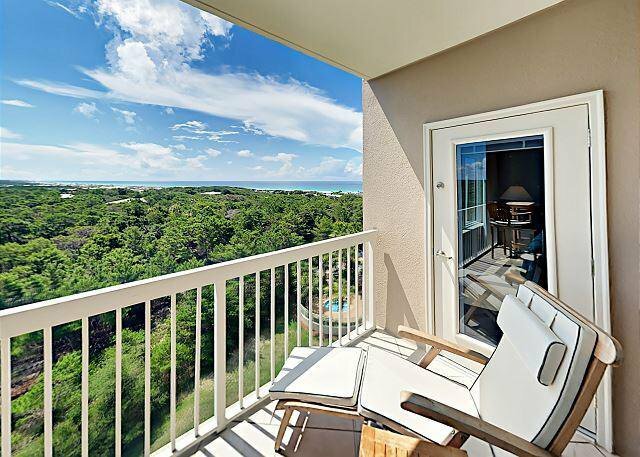 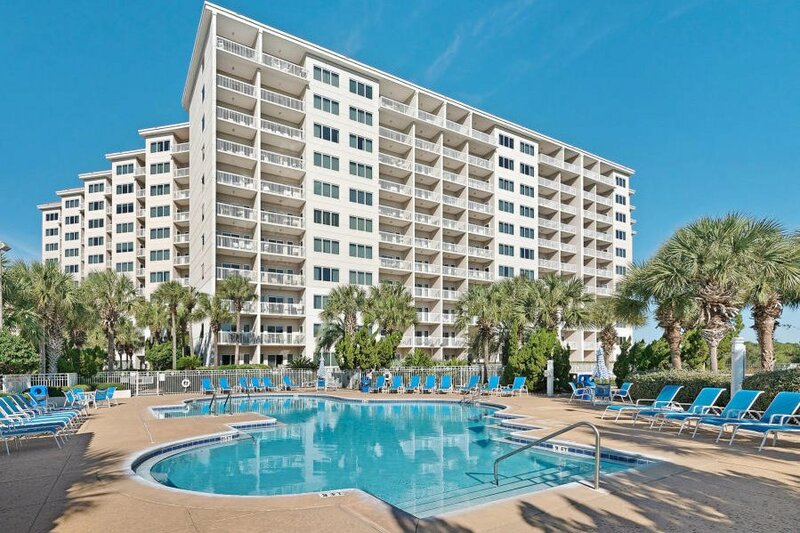 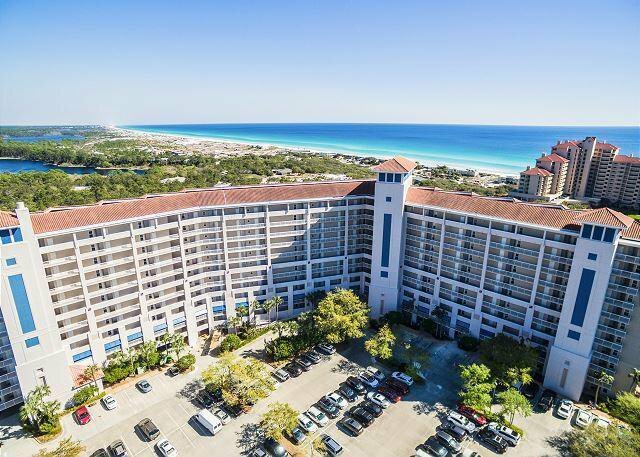 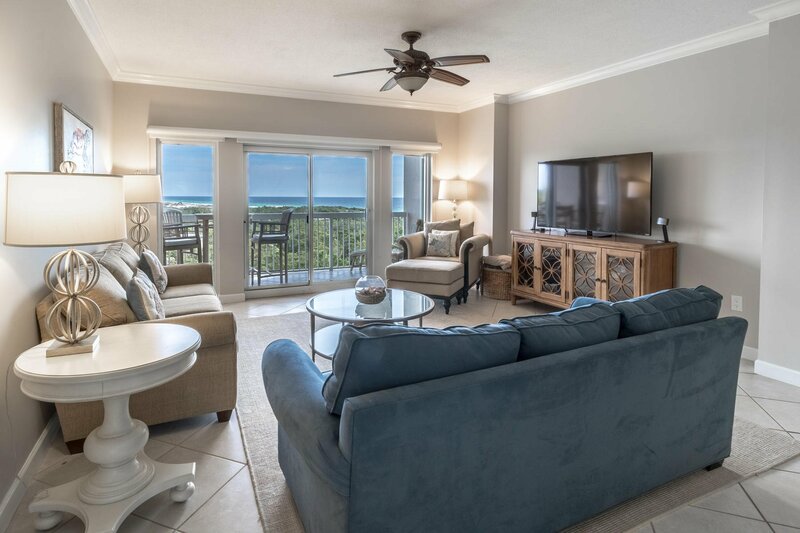 Enjoy incredible views of the Gulf from this stunning 3BR/3BA condo on the 7th floor of the Summit Resort at Tops'l. 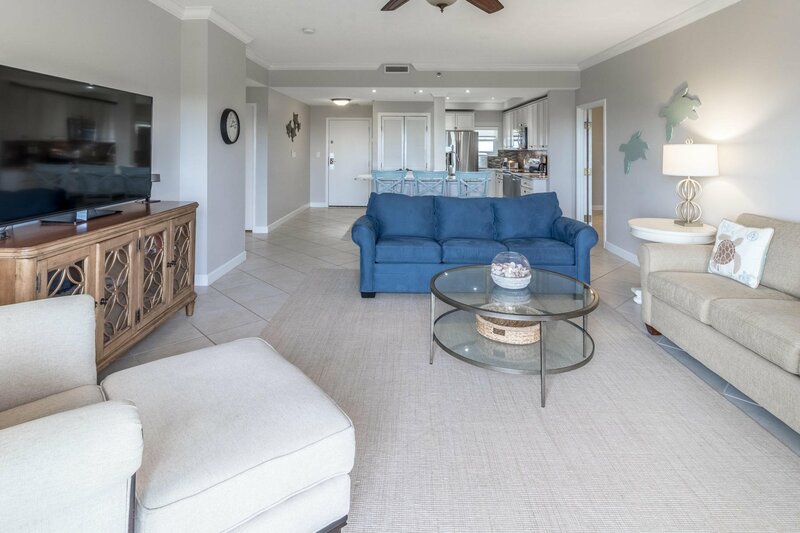 This beautiful, updated property comes fully furnished with a few minor exceptions and is designed as a 2BR/2BA unit with a full kitchen, living room and private balcony and an adjoining, lockout studio with a large bath, upscale coffee bar w/ microfridge, and private balcony. 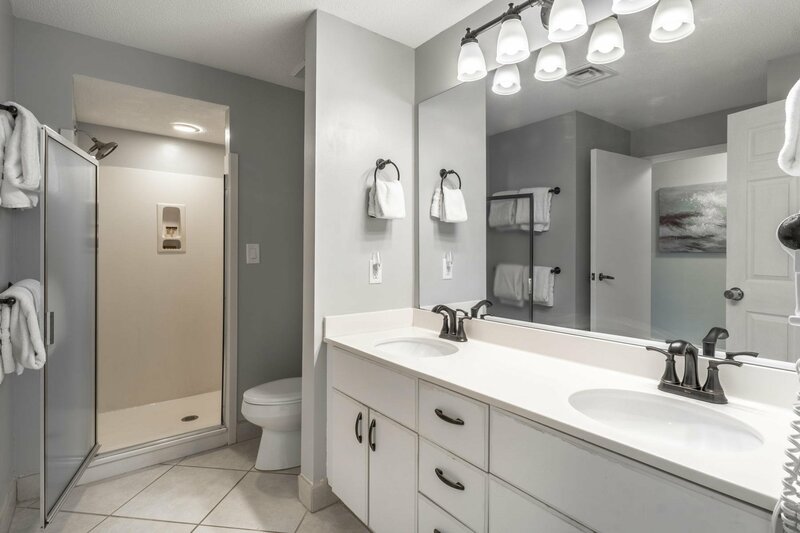 This design provides the Owner the option of renting this property as 2 separate units with their own exterior entrances or a 3/3 unit with the common door between the units. 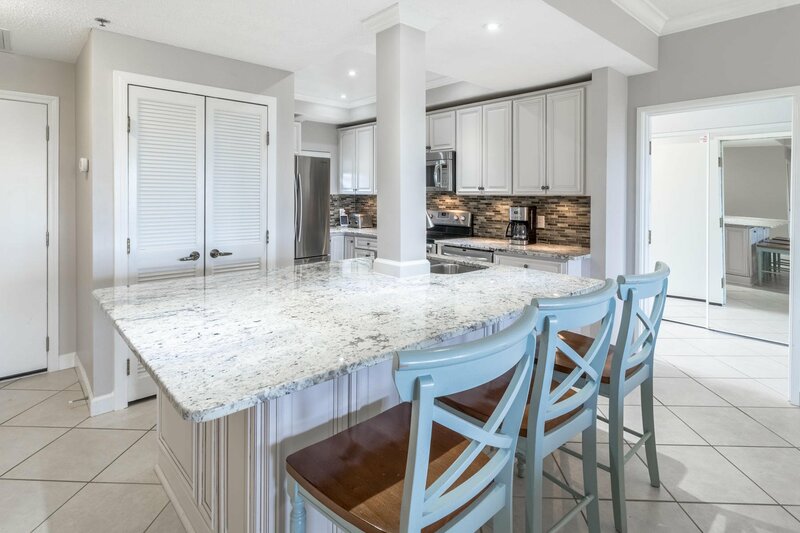 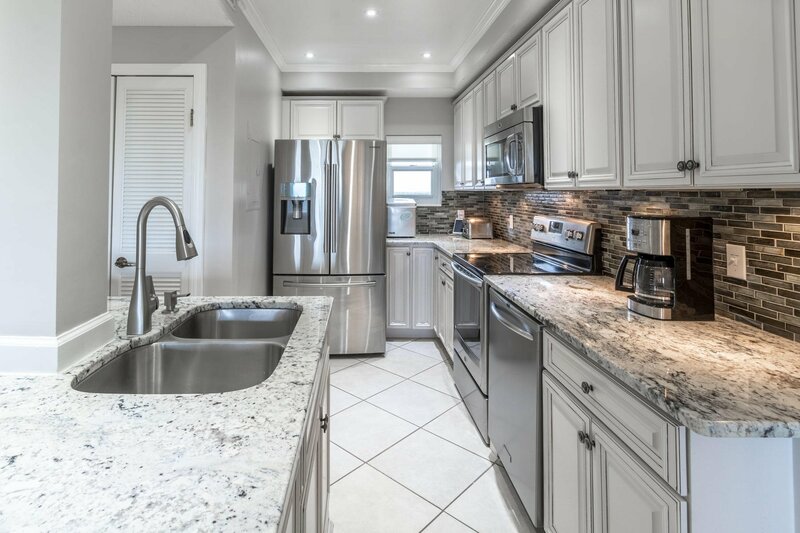 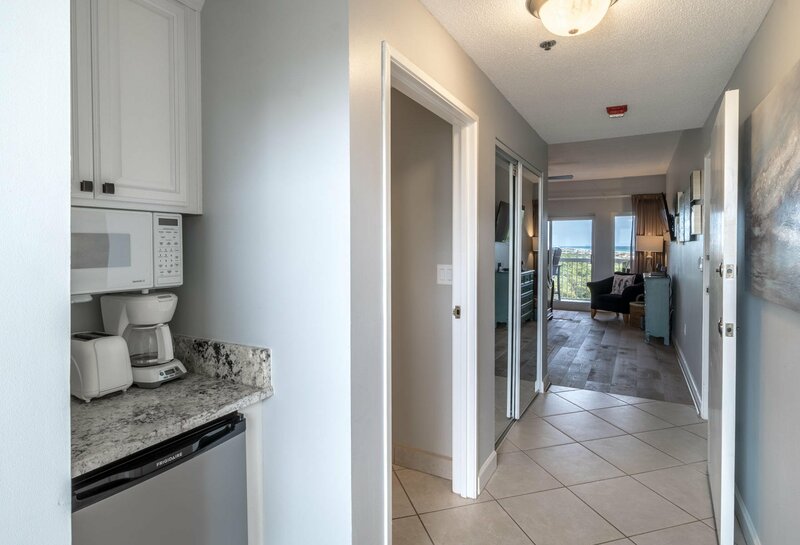 Natural light pours through the main living room and into the spacious and open kitchen equipped with light granite counter tops, stainless steel appliances and a large, breakfast bar with seating for 6! 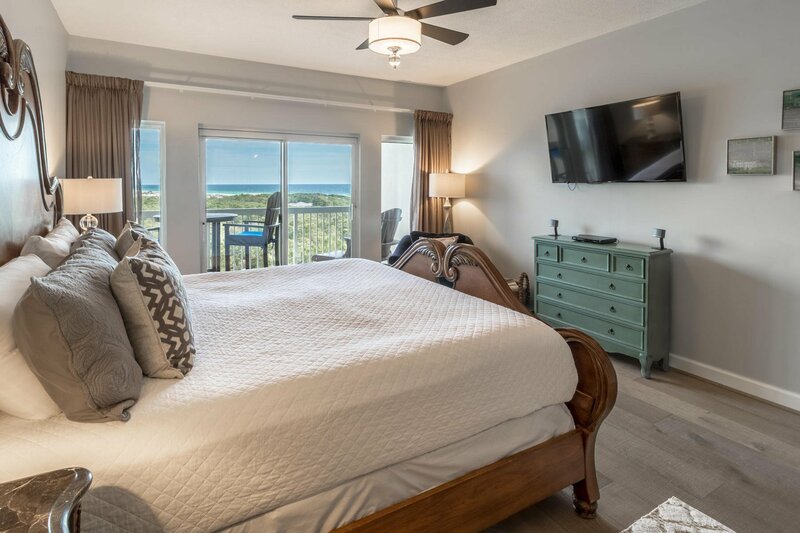 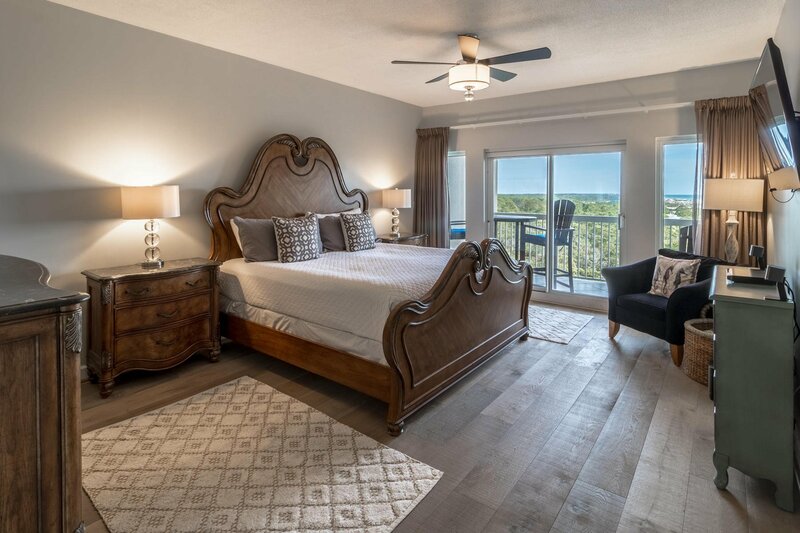 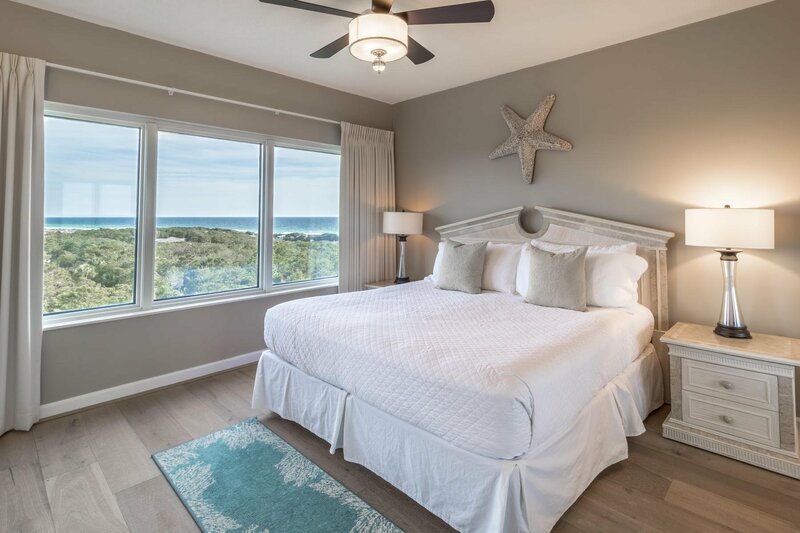 Take in Gulf views from the master suite outfitted with a king bed, en-suite master bath, and direct balcony access. 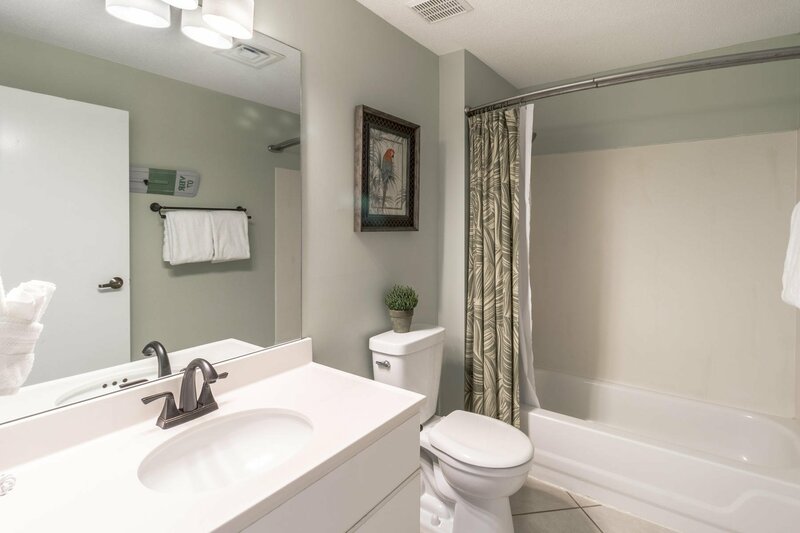 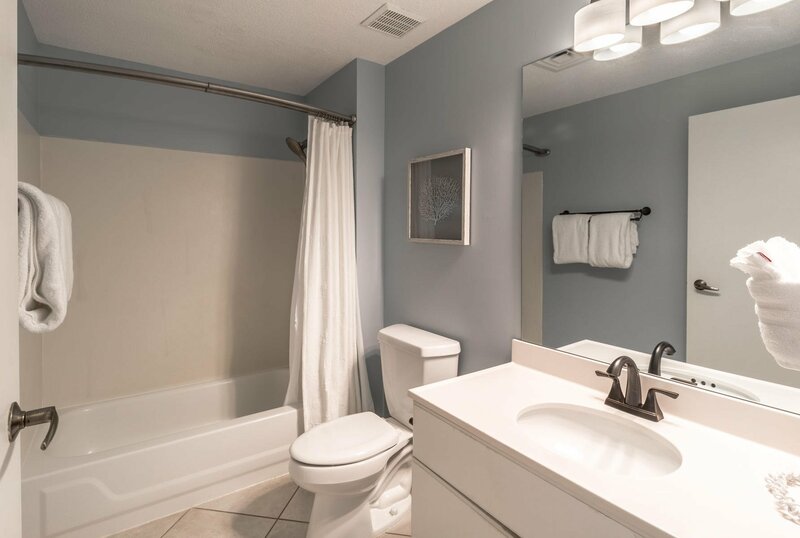 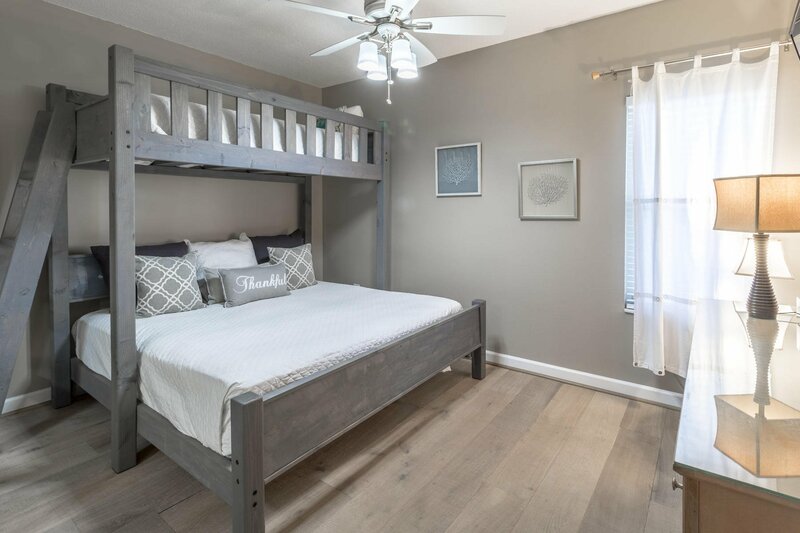 The second bedroom provides a twin-over-king bunk bed and the second bathroom holds a tub/shower combination while the adjoining stylish studio has a king bed and a spacious bath with a double vanity and walk-in shower. 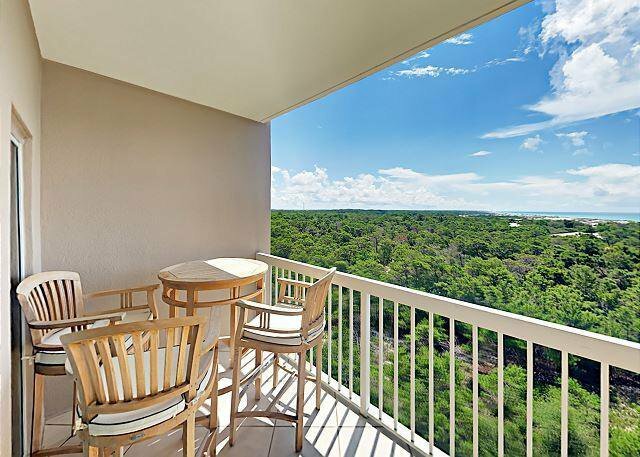 Each unit includes a private covered balcony with views of the Gulf of Mexico, pool area, and the nature preserve of Four Mile Village. 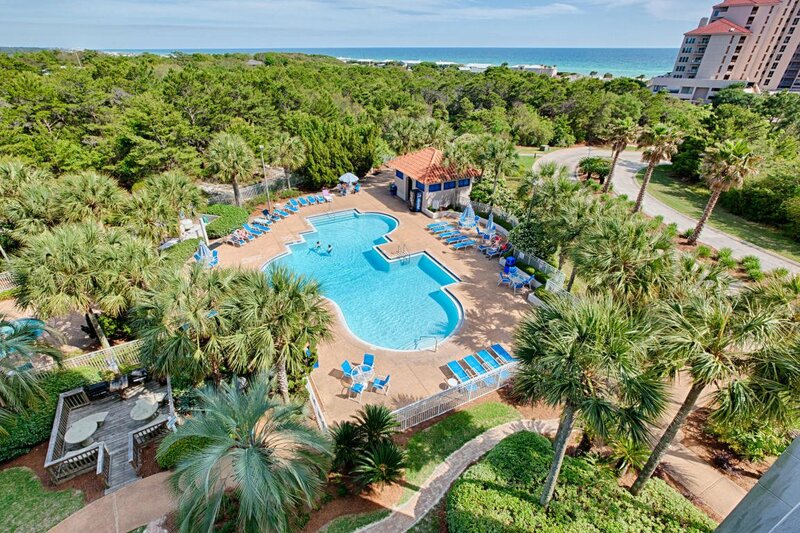 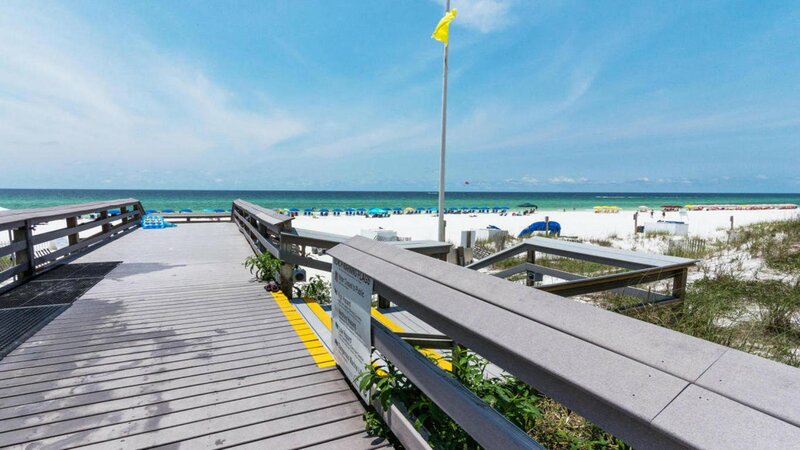 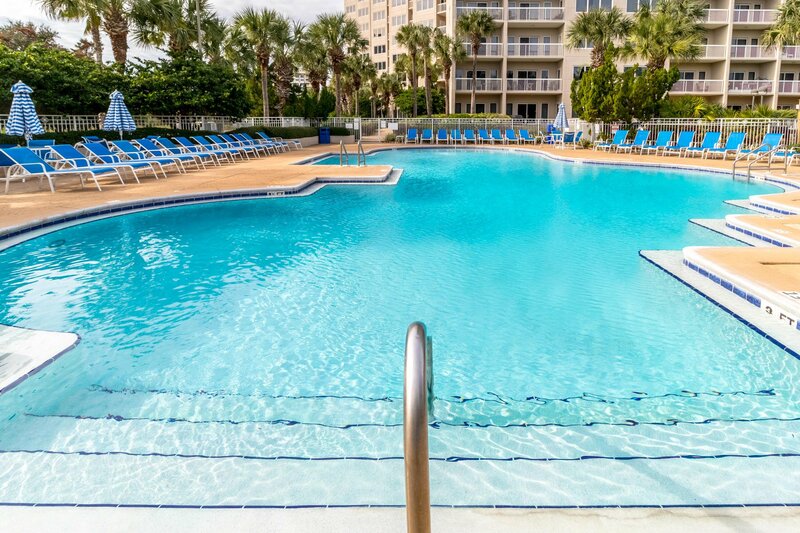 Tops'l is a 52 acre beach resort which offers 600 ft of sandy white beaches, seasonally heated outdoor pools, sauna, steam room, fitness center and classes, tennis courts, and the TOPS'L tram.